Read, react, adjust: that’s probably the fastest way to summarize the inner mechanisms of Oregon’s increasingly deceptive and effective play calling. With defenses constantly finding new ways to attack and defend the Duck offense, reading each scheme and then reacting to the defenders is hard enough on every down; but what Oregon fans have learned over the past four years is that every time Oregon loses yardage, they’re probably close to gaining some big yardage as well. That turnaround from failure to success happens because there really is no solve-all answer to the Chip Kelly/Mark Helfrich scheme. A defensive coordinator can’t just key in on any one player, blitz on every down, or sit in certain coverages all game – they have to adapt to the changes Oregon makes as well. Call it a cat-and-mouse game, if you will. Whenever multiple defenders barge into the Duck backfield, or a screen pass is smothered at the line of scrimmage, it’s pretty safe to say that the defenders are getting a little too cute with their pre-snap reads. As it just so happens, Oregon might have the only offensive system that is a path of circular logic, revolving around leverage through numbers, how aggressive a defense is in reading certain types of plays, and how fast a defense is making decisions. 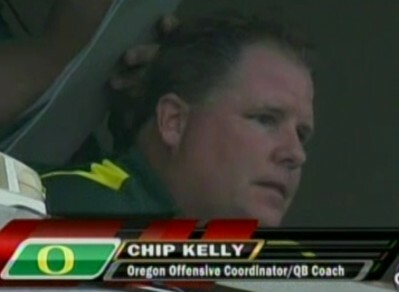 When Chip last ran a Counter? Let’s take Oregon’s inside zone read as an example. There are probably hundreds of different variations a defense can present the Ducks any time they expect the inside zone play, but I guarantee you that Oregon has a plan to fend off every single possible way a team can defend the base play. More defenders than blockers in the box? Throw a bubble screen. Defensive line pinching down? Run an outside zone play. You name the defensive alignment or scheme, I guarantee you Oregon has a play to reverse the script. But if Oregon has all these different spin-off plays, why don’t they just use a counter play? That’s a question that even the people who have watched more Oregon game film than anyone else out there (Every Pac-12 defensive coordinator, along with Charles, myself, and the rest of our analysis crew) don’t understand. The last time Oregon ran a true-to-the-bone counter play was in 2008 against Purdue (of all teams, right?). For those who need a quick refresher on the counter play, it’s a very simple concept. 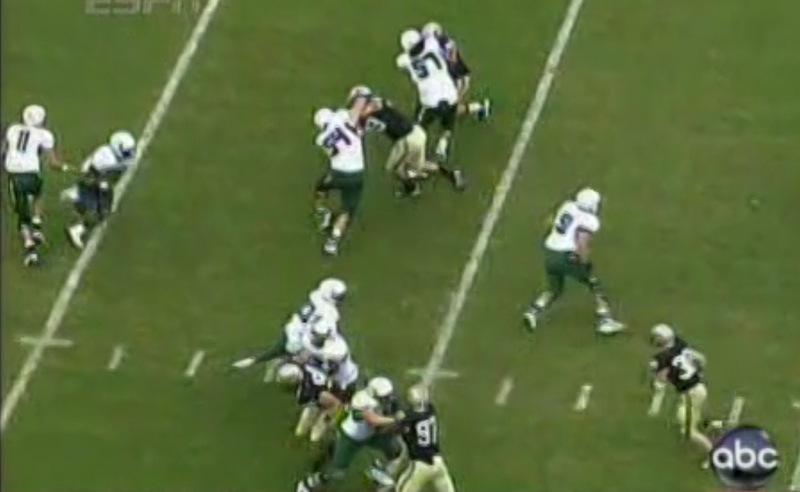 Every time an Oregon running back lines up for a carry, he is basically always on one side of the quarterback. When the ball is snapped, the running back will proceed to attack the opposite side of the line. If the running back lines up to the quarterback’s right, he will attack the left side of the offensive line, the same is true for the opposite situation. This obvious tendency has encouraged defenses to watch where the running back is lined up, then attack the opposite side with blitzes or additional defenders to combat the traditional running schemes Oregon uses. The counter play flips that tendency around. When Oregon ran the counter play in ’08, the running backs (JJ & Blount) lined up on the quarterback’s right side, took two steps to his right to make the defense believe we were doing a speed double option to the right, and then darted back across the line to the left side for a good gain. If you weren’t looking closely, you would have missed it, because that is the last time any of us have seen that wrinkle. The play’s simplicity goes hand-in-hand with the rest of the Oregon offense, and yet it hasn’t been deployed for five years. Charles and I have been grumbling about it for as long as we’ve known each other, and have been anticipating the return of the counter play every week, but have been utterly disappointed each Sunday – that is, until Oregon unleashed its less-than-traditional counter play on the Huskies in 2011. While it might stretch the imagination, Washington actually played pretty well against Oregon in their final game in the old Husky Stadium. It might be even harder to imagine that Nick Holt was the defensive coordinator that stumped the Ducks in the first half of that game as well. Essentially, Washington crashed to the side opposite the running back’s alignment, biting hard to stop the inside zone play. As you can see in the image above, Washington’s linebackers were actually shifted (dotted red arrows) towards the running back’s probable destination (dotted orange arrow). While a counter play would work perfectly in this situation, Oregon dialed up a play even deadlier than the counter. What they used was the toss play. Feeding off the typical pulling technique used by the Oregon offensive line in many other situations, two big linemen quickly move to the exterior of the defense as the running back, who lined up on the quarterback’s left side, bubbles out to the left to receive the toss and head upfield. As you can see, the path is perfectly laid out for the Oregon running back. The Washington linebackers had no chance of beating the Oregon linemen to the exterior, so they really had no prayer of getting in front of the running back to make a tackle. The deadly toss play is Oregon’s truest type of a counter play, and can really make a defense pay for trying to exploit one of the most obvious tendencies the Ducks have in their offense. Against USC, the Trojans cooked up the same scheme that Washington had used the year before. They looked at the running back’s alignment and the offensive line’s actions, and USC attempted to read the direction the play was going in order to make a play on the ball. In the image above, you can see the Trojan linebackers starting to key in on the running back’s alignment. If you remember correctly, their scheme didn’t work very well. The toss play stumps the linebackers, and as Steve Greatwood’s offensive linemen get faster and more agile, the toss play gets even more effective. This time three linemen pull to the exterior of the formation, and pin in the Trojan linebackers, setting up a big gain for Barner. While Oregon has retired the true counter play for the time being, the toss play can still keep defensive coordinators awake at night as they prepare to scheme against the Ducks’ diverse spread attack.